I would like to thank Month9Books & LibraryThing's Early Reviewer Program for a copy of this e-ARC to review. While I received this ebook for free, that has no impact upon the honesty of my review. Goodreads Teaser: "The people of Nelebek live in fear of persecution from the evil Morlet, who reigns with a dark and destructive magic. 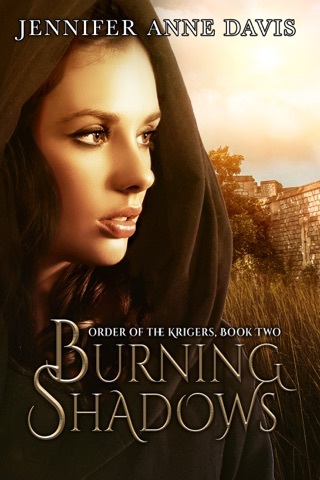 The kingdom's only hope lies with the Order of Krigers—twelve warriors with mysterious powers linked to magical weapons. Sixteen-year-old Kaia survives by keeping her head down and minding her own business. But when she finds herself in the middle of a public execution where the mysterious Morlet is in attendance, an odd compulsion she can't resist comes over her. Kaia looks into Morlet's eyes. Soon, an ancient power awakens and Kaia can no more blend into the scenery. 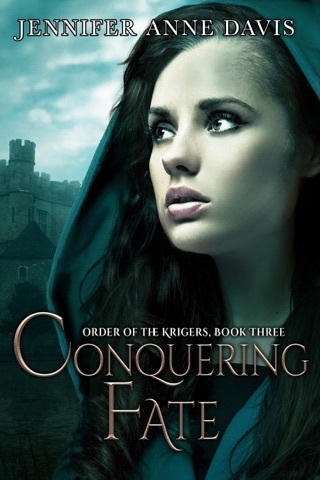 Will she heed the call of the Krigers or will Morlet's dark magic destroy the last of the Order?" So I enjoyed this book, which I found a tad surprising because I knew pretty much exactly what was going to happen before it happened. Not just events but emotions. And yet, even with virtually no surprises waiting, I still liked Kaia and her story. She's a good protagonist with lots of challenges ahead of her, and even with a story that's been told many, many times, she still makes it fun. As I said, you can see the plot twists coming from a mile away. Even the emotional hurdles that Kaia, Anders, Vidar, and even Morlet face are not at all surprising. Yet there's something refreshing about Kaia; she's not afraid of being 'soft' when it comes to the important things. Her feelings about going for the kill over the hurt are strong, useful, and a good teaching tool for the 'adults' surrounding her. For someone who suddenly finds that their whole life has already been charted for them, Kaia refuses to back down and accept what she's being told will be her role in life. She attacks her challenges head on, be they physical or emotional. The dynamic between Kaia, Anders, and Vidar is fun, though it does eventually get annoying on one party's side. I can only hope that this will change, or at least be explained in the next book. I also enjoy Kaia's confusion surrounding Morlet. She makes the reader take a real look at him versus simply allowing him to fall into the predestined role of antagonist. Of course no real conclusion is reached, but then that wouldn't leave much for the next books in the series now would it? So although I knew most of what was coming, at least in the broad strokes, there was still some question around most issues. And there is one item that has been foretold surrounding Kaia's future that's yet to pass, and its potentially a big plot line. 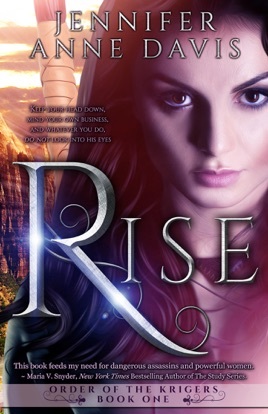 One which has me wondering if the devious plan I foresee will come to pass or not, and has me curious enough to be more than happy to come back to read the next book in the series when it comes out.